Line and define your eyes with PUPA Vamp! Stylo Liner Eye Liner Marker in 'Extra Black', a highly pigmented black eyeliner with shiny finish. 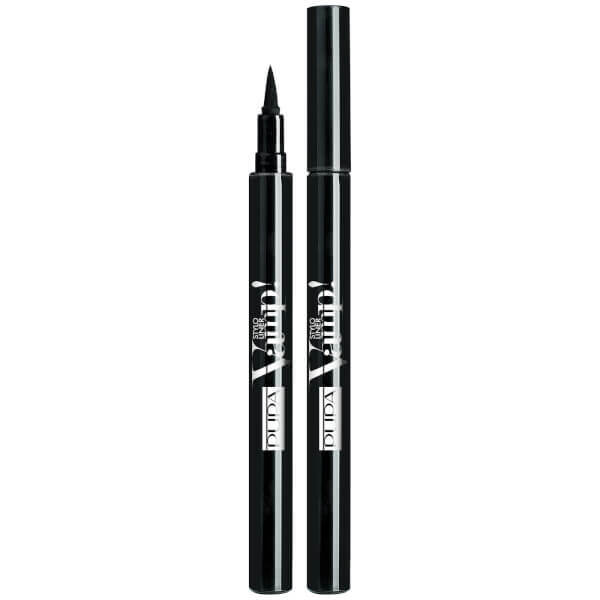 Delivering a shock of intense definition, the lightweight liner glides effortlessly across the lid with its easy-to-control marker tip, leaving a precise line that accentuates and defines with long-lasting wear. Draw a line at the base of the eyelashes, starting from the inner part of the eye going outwards, and stopping according to the natural shape of the eye.